What kind of new year celebration be without a delicious and mouth-watering meat dish? 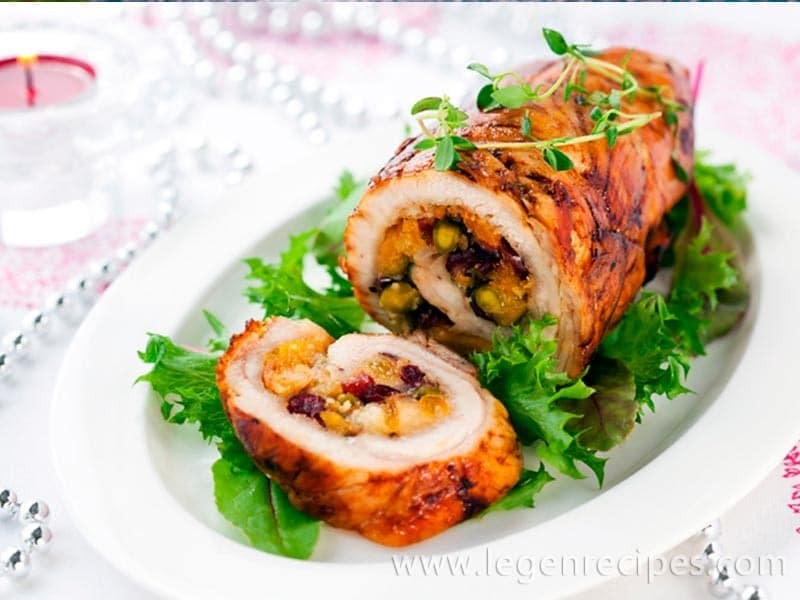 Today in our festive menu Turkey roll with a very original filling – dried apricots with pistachios and berries. 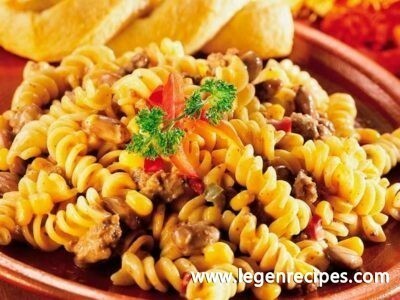 In General, the combination of meat with sweet ingredients are always exquisite and very successful. Turkey fillet wash and Obasi. Cut each fillet along not to the end, unwrap and carefully cut to form a wide thin layer. Meat salt, sprinkle black pepper, coriander and paprika and samarenos in white wine for 30 minutes. Soak dried apricots in warm water for 30 minutes. Then wash and cut in small pieces. Very finely cut bacon. Finely slice the onion. Carrot RUB on a coarse grater. Fry onions and carrots in olive oil for 5-7 minutes. At the end add the dried apricots, pistachios and berries. Sprinkle of ground cloves, mix and remove from heat. Prepared Turkey fillet laid out overlapping. On top put the slices of bacon and stuffing. Turn the meat into a log and tie with string to keep shape. Fry the roulade in a hot pan with a little olive oil on all sides until Golden brown. Then place the roll into the buttered form and send in a preheated 200°C oven. 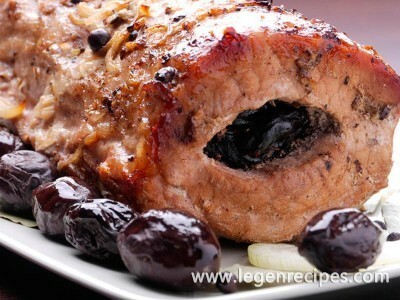 Bake the meat until tender, about 1 hour, occasionally basting with wine and the juice formed. With the finished rolls do not forget to remove the thread. 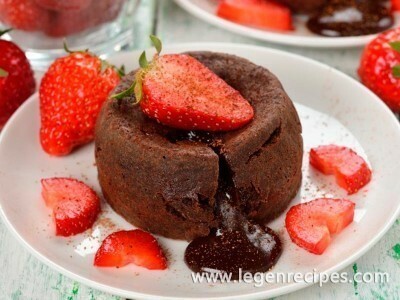 Put him on a dish cut into pieces, decorate with greens and serve with berry sauce on new year’s table.